H-E-B is a proud supporter of Brazosport Cares Food Pantry. Through their food donations HEB was able to provide 29,833 meals to the Brazosport community in 2018. Starbucks proudly supports Brazosport Cares Food Pantry through volunteer opportunities and food donations. In 2018 Starbucks donates 16,000 meals to the Brazosport community. The Kolache Shop is a proud supporter of Brazosport Cares Food Pantry. In 2018 they were able to provide 2,900 meals through their food donations. 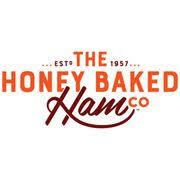 The Honey Baked Ham Co proudly supports Brazosport Cares Food Pantry. Through their food donations they were able to provide 530 meals in 2018.